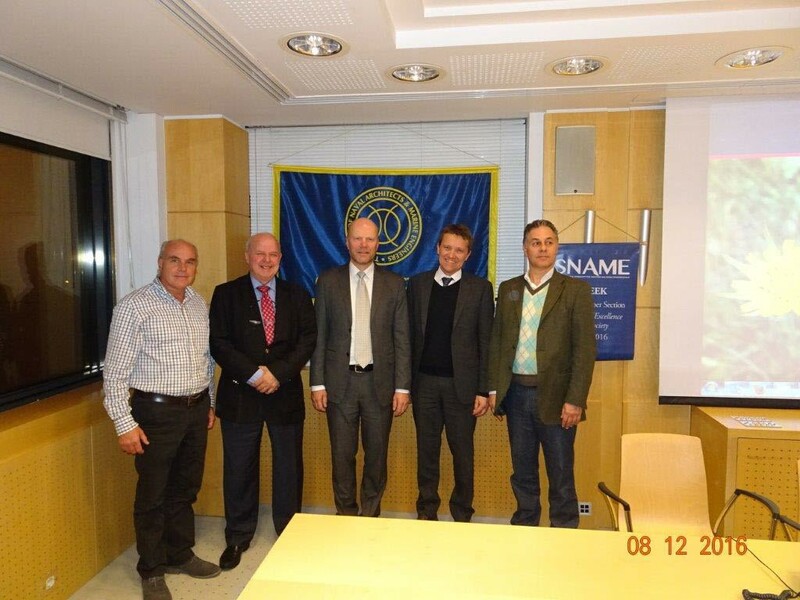 At the fourth Greek Section meeting for the 2016-2017season on December 8 a presentation was given by Mr. Michael Jeppesen, Promotion Manager at MAN Diesel & Turbo Ltd, who started it by giving some background information on the enforcement of TIER III regulation on NOx emission in NECAs on January 1, 2016. Despite this development almost a year ago he mentioned that most new vessels with two stroke diesel engines coming out of the shipyards in 2016, 2017 or even later are TIER II vessels. He attributed this inconsistency to the high cost of TIER III compliant NOx abatement systems that make ship owners delay their installations and avoid the extra expense as long as possible by ordering vessels, which have been keel laid before December 2015. This practice allows them to temporarily avoid the economic burden that results from system installation without neglecting to be law-abiding since these ships have to comply with TIER II. He also pointed out that unlike initial anticipation the TIER III implementation onboard vessels has been much slower and as a result, the ramp up of the TIER III engine rooms is also delayed by one - two years. This has resulted in a longer maturing period for MDT to optimize the NOx abatement systems. He also brought to audience’s attention that even though MDT has been developing TIER III compliant technologies for nearly a decade, a strong game changer came into the picture in 2014, when it was concluded that starting from 2016 onwards all NECAs would also be considered to SECAs worldwide. This implied that any vessel operating in the NECA (U.S.A. waters) would be operating on low Sulphur fuel (or in rare cases on HFO in combination with a SOx scrubber). Under these circumstances MDT decided to continue further development of NOx abatement systems on basis of low Sulphur fuel in Q4 2014. The implications were extremely positive and led to MDT system portfolio of low Sulphur (LS) Exhaust Gas Re-circulation (EGR), high pressure (HP) SCR and low pressure (LP) SCR with optimized sizing and equipment configuration at significantly lower cost than the first HFO based systems. Mr. Jeppesen concluded his presentation by referring to future potentials. The meeting was attended by forty-nine (49) members including students and professionals and ten (10) non-members. 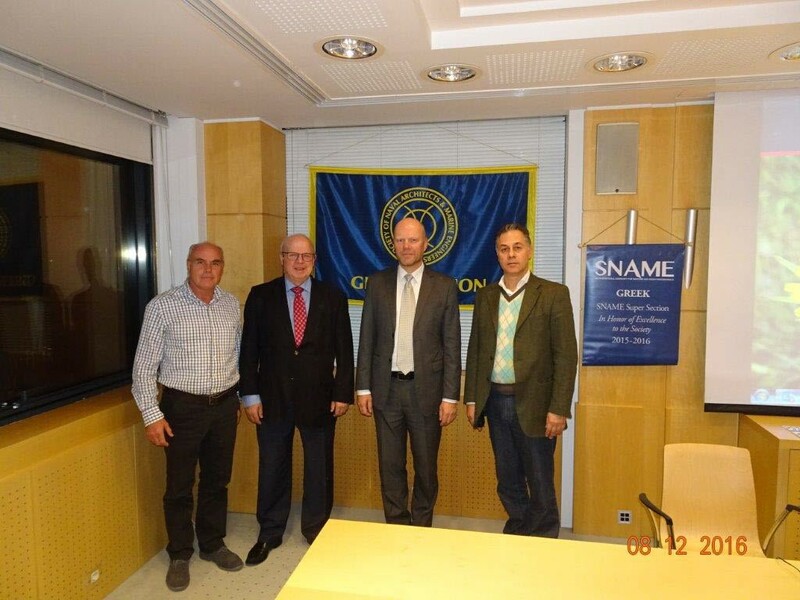 The meeting was broadcast to SNAME members worldwide. Almost twenty (20) members attended it virtually. The presentation and the explanatory notes can be found by following the links.